THE VOICE OF the villain in the new Batman movie is based on that of an Irish Traveller, according to the actor who plays him. In Batman: The Dark Knight Rises, Tom Hardy plays Bane, a mysterious leader who wants to destroy Gotham City, and whose face is covered by a sinister mask. There has been much speculation over the character’s voice – with reports earlier this year that it was too difficult for audiences to understand and may have been tweaked in post-production. It’s based on a guy named Bartley Gorman. He’s the king of the gypsies, and he’s a boxer, a bare-knuckle boxer, an Irish traveller. According to his 2002 obituary in the Telegraph, Gorman’s mother was Irish although he lived in the UK. 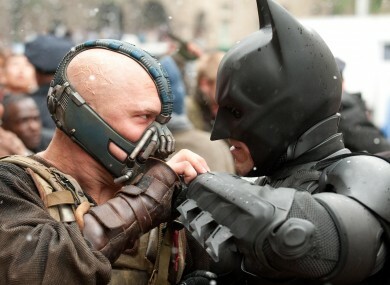 Email “Batman villain Bane’s voice ‘based on Irish Traveller’”. Feedback on “Batman villain Bane’s voice ‘based on Irish Traveller’”.